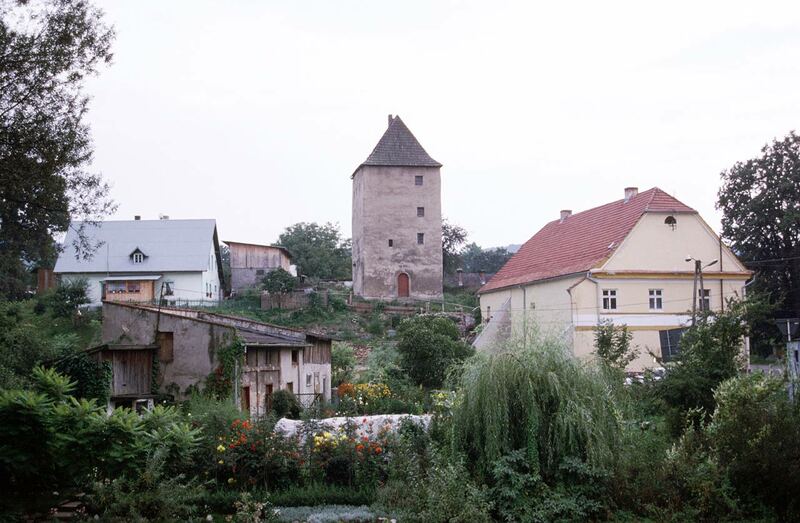 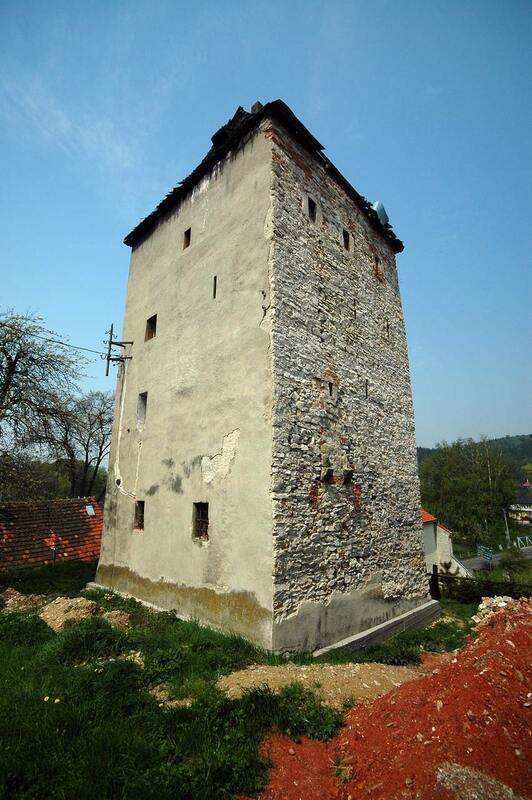 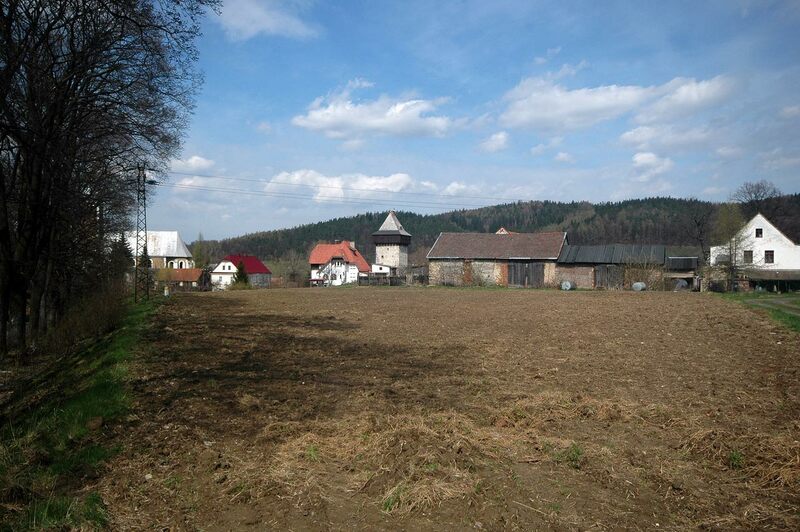 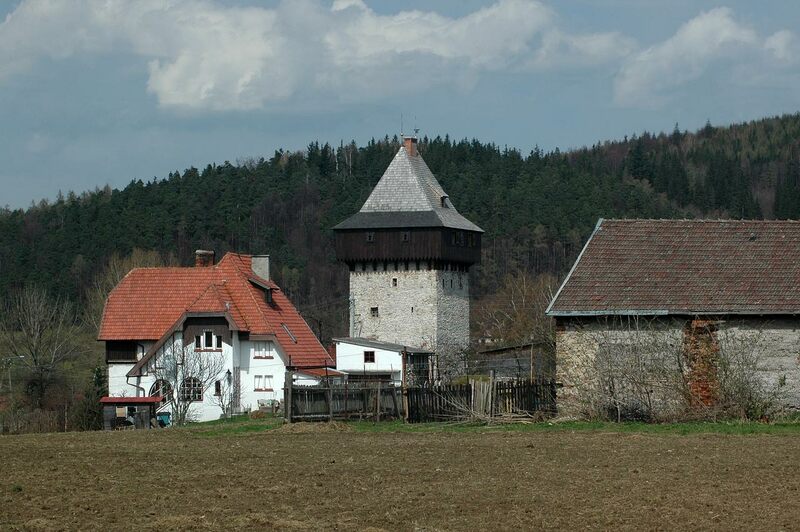 h e tower still existing in Żelazno village was probably built in the 15th century. 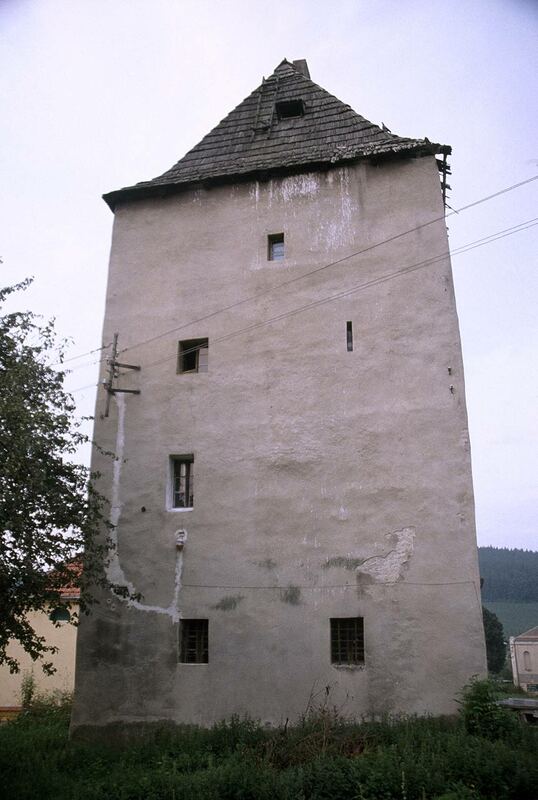 It is a four-storey structure, set on a rectangular plan (6,5x7m). 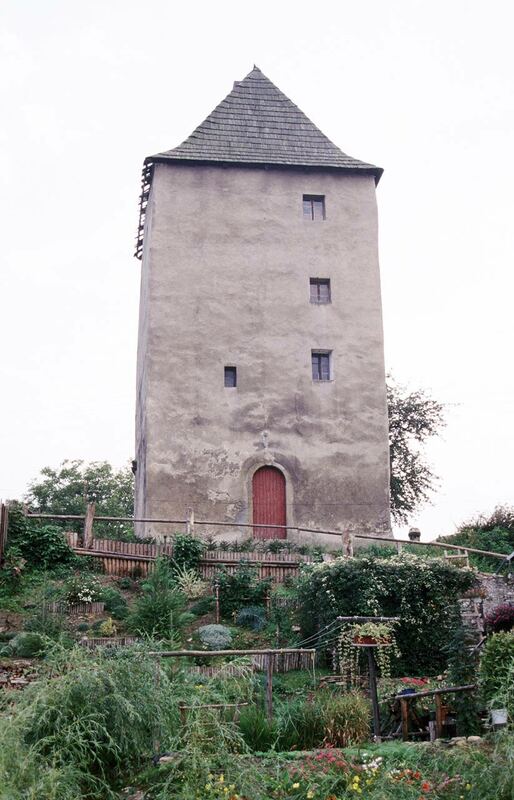 According to the date hammered on the lintel the tower was remodelled in 1727. 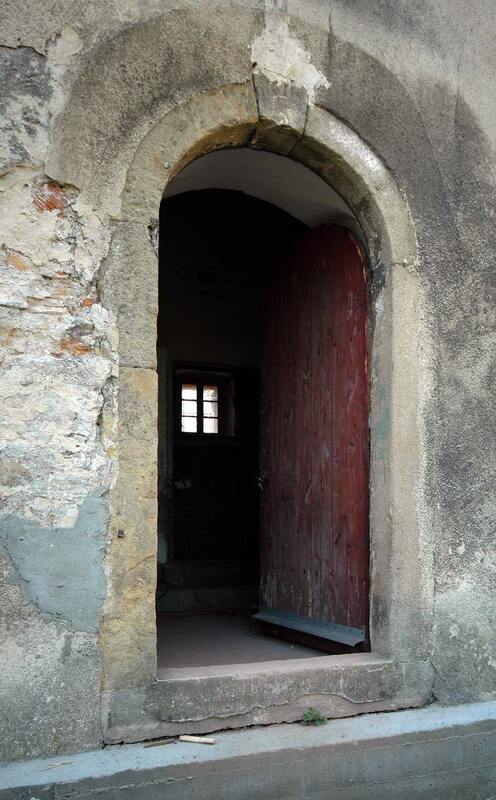 Now the walls of the early foundation are plastered, although initially they were not. 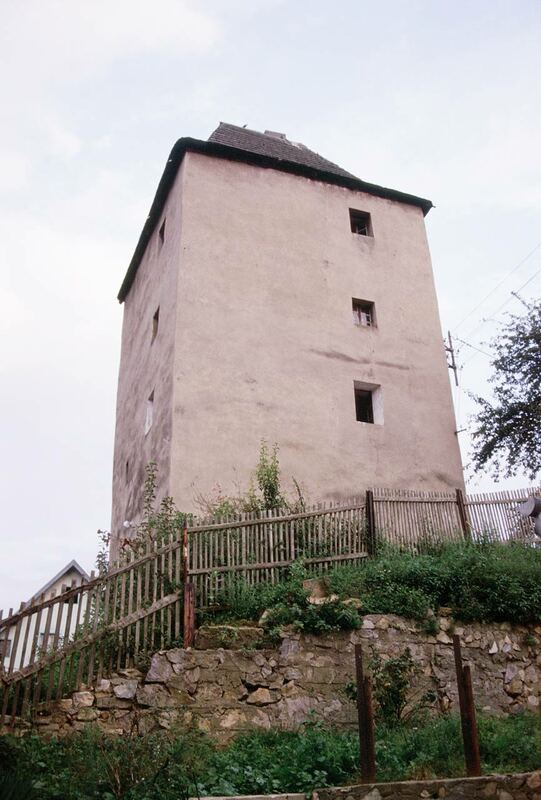 During renovation works in 1966 remnants of a shooting position and an oriel of a latrine were found. 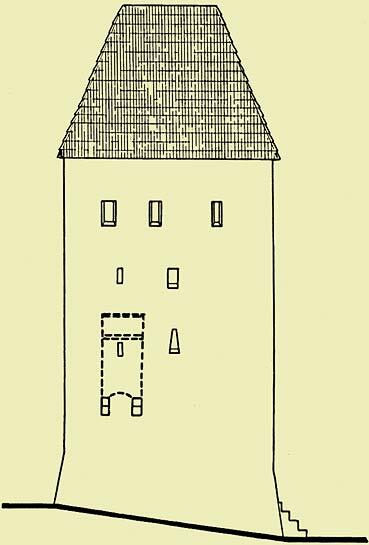 Initially, it may not have been a dwelling tower as no traces of window holes of the early foundation were found in the walls.